The 2014 international conference is fast approaching! here is transportation provided for all Conference 2014 registrants between the “ISAAC’s Picks” hotels and the Lisboa Conference Centre. We are also working with our conference organizing company in Lisbon to have a full document of important information (ie medical, assistive device repair, wheelchair repair, services, etc.) created and made available on the ISAAC website. BTW, the information about the transportation is up on the ISAAC website, at https://www.isaac-online.org/english/conference-2014/hotel-accommodation/, and was also included in broadcast emails that we had sent when the system opened for registration. Stay tuned for more info about the ISAAC-Australia scholarship opportunities. Scope celebrates ISAAC’s International AAC Awareness month by encouraging people to get together during October to share a Silent Morning Tea. The concept for a Silent Morning Tea was developed by staff at Scope’s Communication Resource Centre in 2007 and held annually at Scope’s Central Office. In 2012, the event was publicised more widely. More than 60 services and organisation registered to participate. In 2013 this number grew to 143 registrations, including three international registrations. Participants in Scope’s Silent Morning Tea received a bingo game to play without using speech and a variety of communication boards. Participants were encouraged to use pen and paper, communication apps and key word sign/gesture to get their message across. 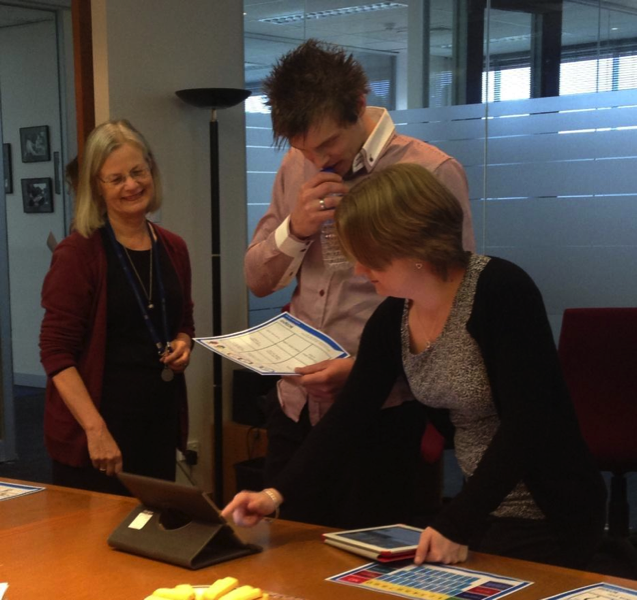 There was also a video online highlighting AAC awareness month and introducing the Silent Morning Tea. The Silent Morning Tea was a great way to raise awareness about augmentative and alternative communication. Scope hopes that the Silent Morning Tea will continue to grow in numbers each year.